blocks can be saved in hosts. 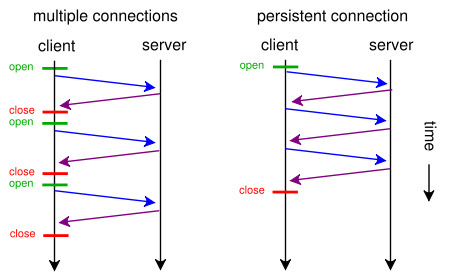 HTTP requests and responses can be pipelined on a connection. be used much more efficiently, with much lower elapsed time. determine the congestion state of the network. spent in TCP’s connection opening handshake. old semantics after an error is reported.